Ralph Drollinger is an infamously far-right pastor who was disavowed by his own church for his bigoted ideology; he also leads an absolutely thriving weekly Bible study group for Trump administration Cabinet members. The BBC checked in with Drollinger and his band of followers, who meet in a secret location every Wednesday. There are ten official “sponsors” of the group, but the attendance list rotates depending on schedules. 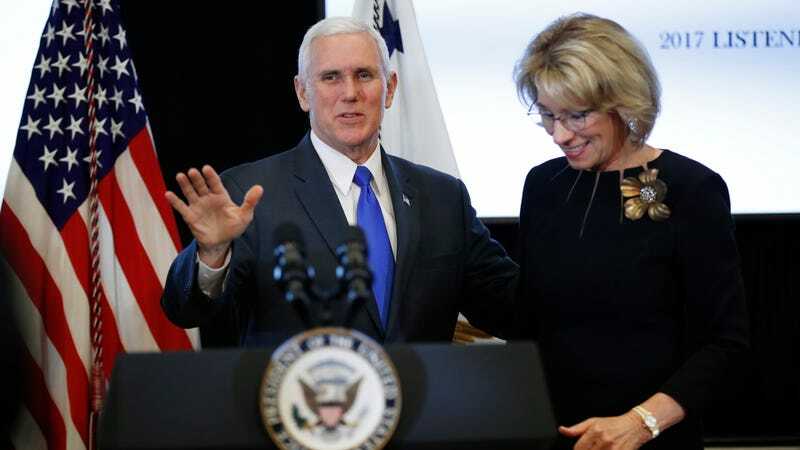 The list include some big names—Vice President Mike Pence, Secretary of State Mike Pompeo, and Education Secretary Betsy DeVos, for instance. Drollinger was happy to expound on the philosophy of Capitol Ministries, his organization that offers Bible study in 43 state Capitols. And to explain to the BBC that there is one major rule for each group: no women leaders allowed! “Unlike our secular media,” Drollinger says, he and others saw the appointees had something in common - they “were strong in Christ”. What a wonderful group of deeply moral men and women living Christian values loud and proud!